Tom Hanks is not merely a “bankable” star. He’s a star that has not made a major mistake in his entire career, not just star power but reliable watchability. Stephen Spielberg is the new millennium’s generation’s Stanley Kubrick. Combining the two virtually guarantees a wonderful film, even if it’s theme is a cold, bleak cold war setting. Bridge of Spies doesn’t disappoint. The Tomatometer gives it a solid 92% and I must agree, with only a minimal reservation as to the grim setting. It’s the late 1950s. 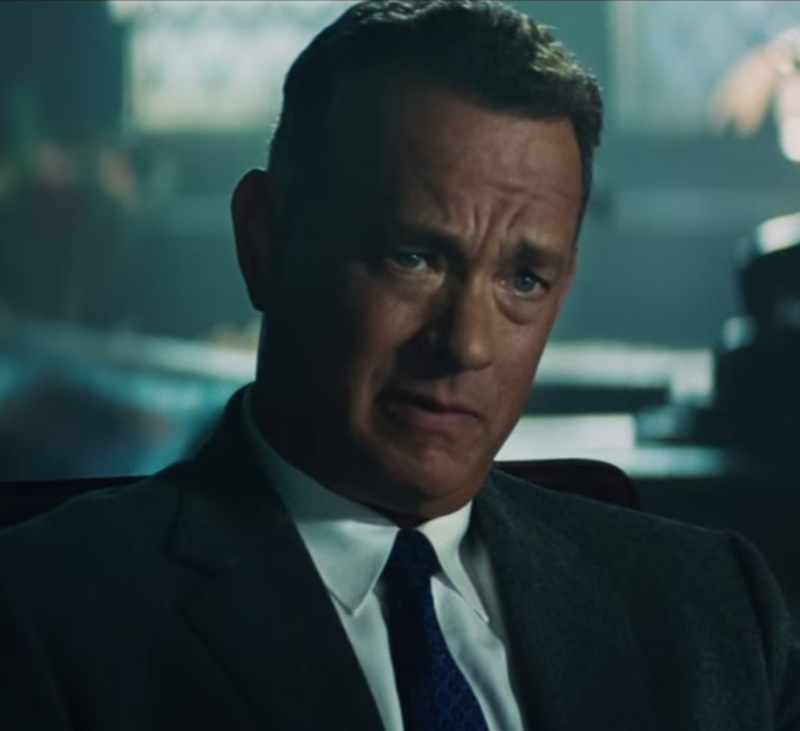 Hanks as James Donovan is charged with defending the undefendable Soviet spy Rudolf Abel. Donovan’s face ends up on the front page of New York newspapers making him persona non grata in New York City. Unpopular Donovan defends his client, successfully, arguing Abel off death row by suggesting he’d be a valuable bargaining chip if the Soviets ever capture an American. Of course this is exactly what happens in 1960 with U-2 pilot Francis Gary Powers (Not Bono, who was not born yet). Spielberg can make an interesting film about the Kardashian’s broom closet. Much like the coldly observational “Schlindler’s List (1993), the austere backdrops evolve to a fascinating potboiler. Tom Hanks as an unlikely insurance lawyer juggling world-threatening intrigue brings life to the chilly proceedings. Hanks has a remarkable ability to get completely lost in his character and it’s impossible to take your eyes off him when he gets on a roll, even with a touch of overacting. When Hanks gets into gear, he owns a film. The writing is sharp, the cinematography appropriately period correct and the directing classic Spielberg. However, Viewers addicted to crash, burn and blast may think it a snooze fest, but if one is willing to absorb the nuances, it’s a festival of grey areas worth the watch. I give it a tightly fitted 4 of 5 grey fedoras.